Since the legalization of sports gambling on a state-by-state basis, many sports channels and television networks have been itching to get in on the action. 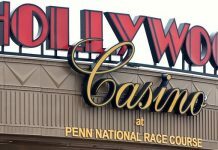 Sports’ gambling is only expected to increase as 2019 continues. While seven states have so far legalized sports gambling, the number of states is expected by many to double by the end of the year, which means that there are many new gamblers who need information. NBC is the most recent entrant into the sports gambling field. They have begun their own gambling show. 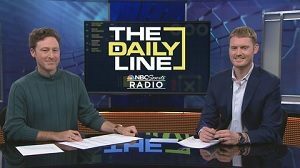 Instead of being televised however, the new show, “The Daily Line” will be available on the NBC Sports Radio mobile app. The broadcast originates out of the NBC Studios in Bethesda, Maryland. The show, which will be broadcast during the afternoon drive from 3-7 p.m., will be hosted by two long-time sports broadcasters. Michael Jenkins, the host of DC Sports Live will work on hosting the show. Jenkins has been a sports reporter and a journalism professor for over two decades, and his radio show has focused on many different sports, including all of the major league sports franchises in the US. Jenkins had focused on the sports teams in the Washington, DC area, but is going to take a national emphasis on the new show. Tim Murray has been hosting various games for SB Nation radio, with an emphasis on Navy football. 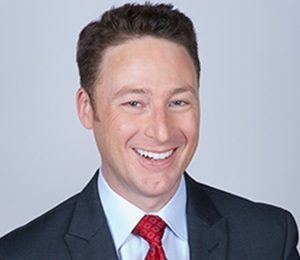 He reports on everything from Olympic Ice Hockey to Washington Redskins football, and has a national audience experience hosting a morning radio show. The new show will cover daily sports topics that would be interesting to viewers. However, the focus will be gambling on. There will be a focus on each of the major league sports teams, as well as college teams in the major sports, such as football, basketball, baseball, and hockey. Point spreads for games, and movements on game lines will be discussed. 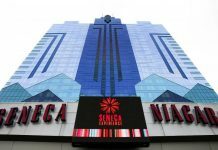 There will also be additional coverage of large-scale gambling events, such as the Super Bowl and the NCAA tournament. The hosts plan to have professional sports bettors on as guests to discuss their betting methods, how they approach betting, and their largest wins in odds making. There will also be odds makers available who have websites where people can go to for information on sports betting and how odds are calculated. The Daily Line, which will be playing from three to seven in the afternoons and early evenings through Westwood One, which is a national broadcast network, in addition to the NBC Sports Radio app. By the end of 2019, the broadcast should be available on many of the NBC regional sports networks throughout the country. The Daily Line joins several different sportscasts focusing on betting, on national television, cable networks, and broadcasts nationwide. Each show is looking to create a niche with viewers or listeners. The Daily Line wants to differ from other sports betting shows, in that it is looking to introduce the casual sports bettor to the world of sports betting. The show is not looking to appeal to gamblers that are in the market to make serious money, as those broadcasts already exist. Instead, they want to focus on gamblers who are gambling for entertainment purposes. It is hoped that with the appeal to the average sports bettor, with common sense tips and insights, the sports betting show will be able to capitalize on the growing sports betting market. There are also a growing number of people who are interested in sports betting because they were interested in fantasy sports teams. They have decided to place bets on sports teams outside fantasy sports.